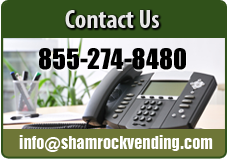 Shamrock Vending is a full service vending company located in Dublin, Georgia that is dedicated to providing business owners and facility managers with quality and affordable vending machine solutions and office coffee service. We have Brand NEW State of the art beverage vending machines including cold and hot beverages, snack machines and all purpose food machines. 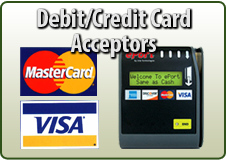 Our vending machines are equipped with SureVend technology to assure product delivery or your money back and we also have debit and credit card readers for your convenience. To meet your expectations with our customers we can customize our equipment to better serve you. 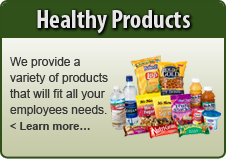 From quality brand name products to state of the art equipment, we have all what you are looking for to make your break room a success. 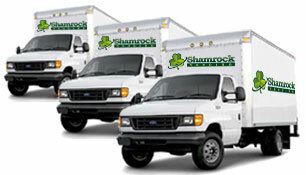 We offer the latest in technology so you can be sure our service is the most effective and efficient. 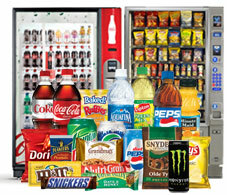 Our vending services include a free consultation, refilling the vending machines on a regular basis, and maintaining them. Whether you are in need of vending machines or office coffee service, give us a call today (855) 274-8480 and we would be happy to serve you.